Simulation showing how the launch angle influences the range of a projectile. 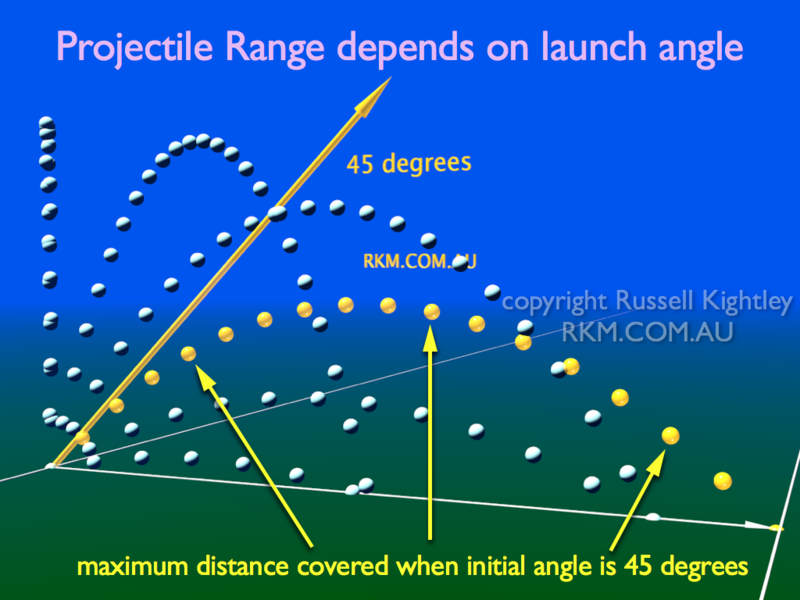 The maximum horizontal distance or range is achieved when the launch angle is 45 degrees. You can try this out with a hose and notice how the water goes furthest when the nozzle is held at 45 degrees. This is also important in weaponry (missiles and bullets) and in sports where the distance a ball travels can be critical to winning!.